Sam and a friend had the opportunity to climb Mt. Quandary yesterday with their new church youth leader. 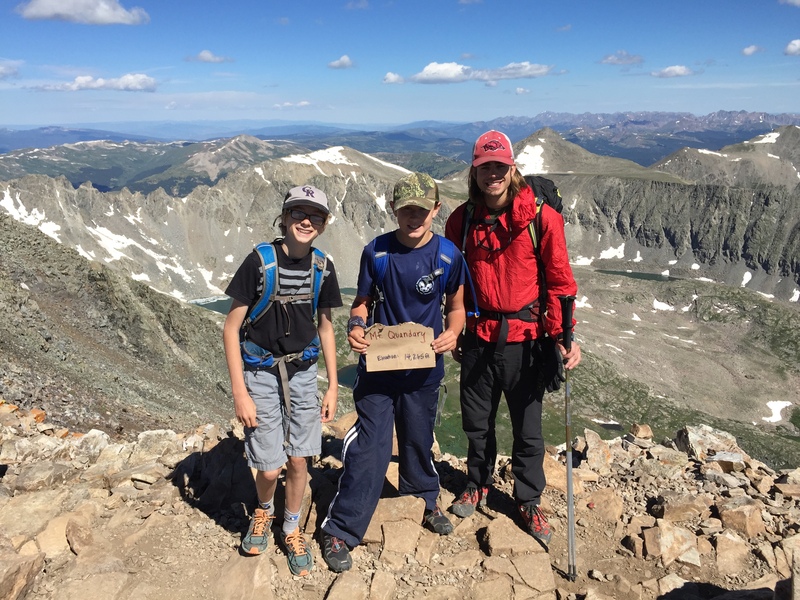 They took off at 5:30 am and reached the summit in 3 1/2 hours. Mt. Quandary is our local 14er, meaning it is one of the many 14,000+ foot peaks in Colorado. 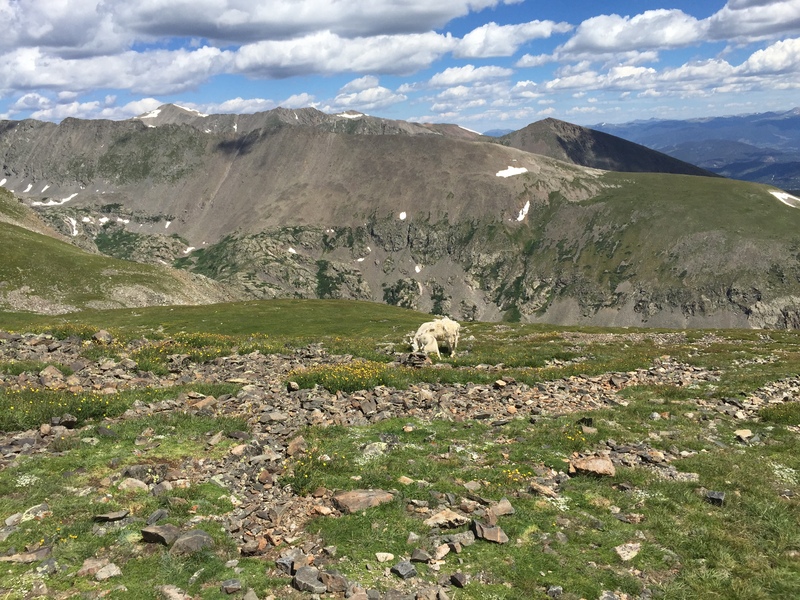 There are many people who work really hard at climbing all the 14ers in Colorado. 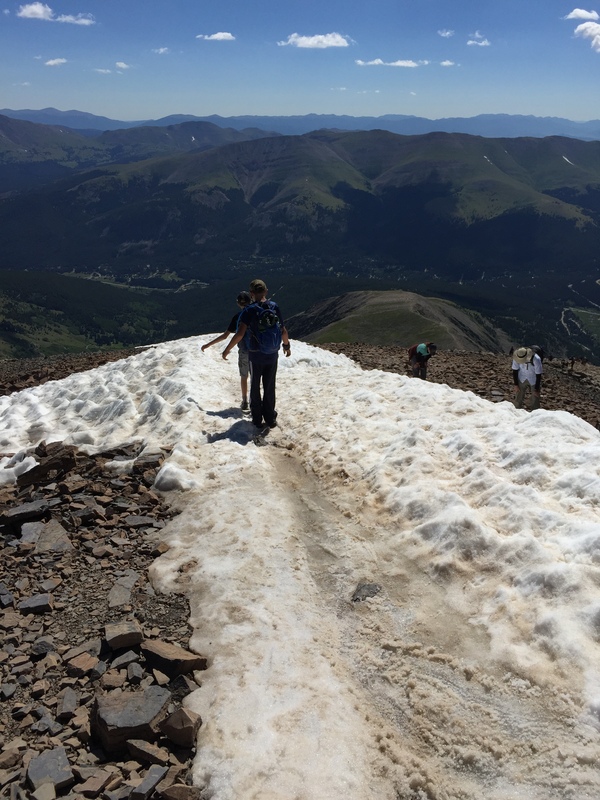 This is not an easy thing to do because 1) the air starts to get pretty thin up there 2) the ascent is super steep and rocky and 3) weather conditions can change in a heartbeat and it can be cold and blustery once you get above treeline. They had a perfect morning for climbing and had a blast! This is a mountain goat and her baby. Sam said they were right off the trail and not bothered at all by the hikers.